Located in downtown San Francisco, Werner & Associates has been providing high quality, cost effective immigration law services to both businesses and families for over 35 years. 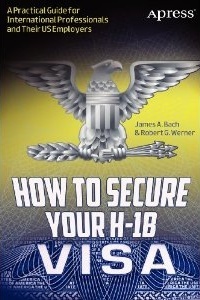 We focus on business related visas including H-1B, PERM labor certifications, L-1 and EB1, while also providing a full range of immigration services to both corporations and individuals. We have always emphasized responsiveness and personal attention to our clients. Our approach to the practice of law is especially cost effective and successful because of our depth of expertise and our pragmatic approach to solving problems. Unlike some other firms, we do not advise unnecessary legal work. Our objective is to obtain the proper visa or status as quickly and directly as possible. We provide practical, cost-effective, and innovative solutions as well as sound legal advice, often producing positive solutions when other attorneys have told our clients the situation was impossible. If you are a company or an individual with a need for help with an immigration issue, please contact Mr. Werner or Ms. Troy to arrange a consultation by phone or in person to fully explore your options.